Epiretinal Membrane (ERM), also known as Macular Pucker, Pre-retinal Fibrosis or Cellophane Retinopathy, is a common condition that affects the macula or center of the retina. 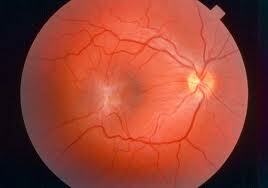 An Epiretinal Membrane is a sheet of fibrous tissue that grows over the macula. This fibrous tissue can lead to loss of vision by causing swelling of the retina, or as the membranes contract they can place traction on or distort the retina. As we grow older, the vitreous gel in the back of our eyes begins to shrink and pull away from the retina. As the vitreous pulls away, scar tissue may develop on the macula. Sometimes the scar tissue can warp and contract, causing the retina to become swollen or distorted. As well as vitreous changes, ERM can be associated with Retinal Detachment, inflamation inside the eye, trauma, eye surgery, or Diabetic Retinopathy. Fortunately, most people with Epiretinal Membranes do not experience significant vision loss and the condition can be monitored. 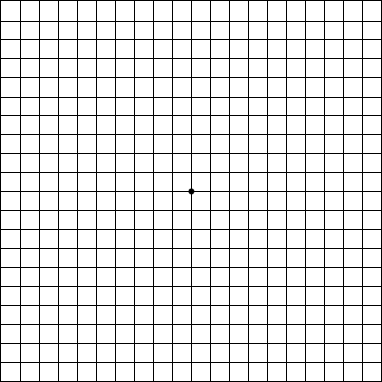 Patients can monitor their vision by looking at an Amsler Grid. Progression of an ERM can also be monitored on regular exams of the retina by your eye doctor and imaging with an OCT analyzer. In patients that do lose significant vision from an ERM, surgery can be performed to remove the ERM and in most cases restore vision. 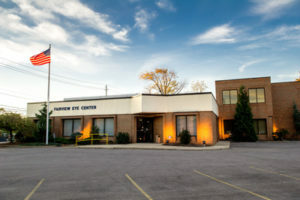 This surgery is called a vitrectomy with an ERM peel, and it is an outpatient procedure.